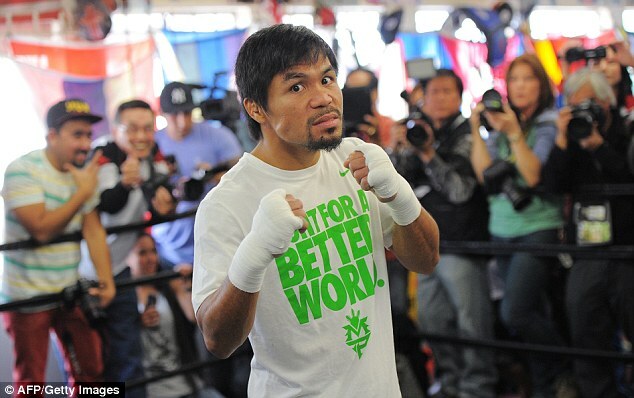 Floyd ‘Money’ Mayweather Jnr and Manny ‘Pacman’ Pacquiao could finally take to the ring in May 2015. A source close to Mayweather’s father has said the undefeated American boxer is willing to face his Filipino counterpart for the substantial money their fight will generate. 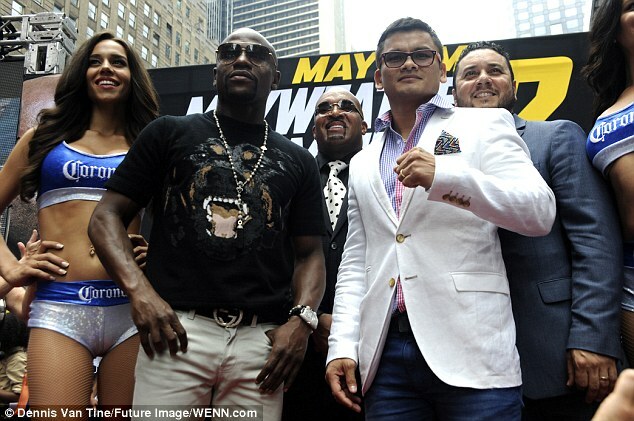 ‘September 13, back to business, Marcos Maidana-Floyd Mayweather, part II. 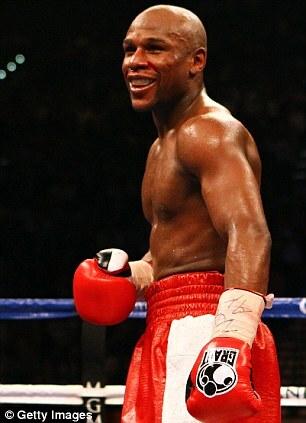 And then in May, I’m fighting in May and I’ll have a big surprise for you all,’ Mayweather has said. 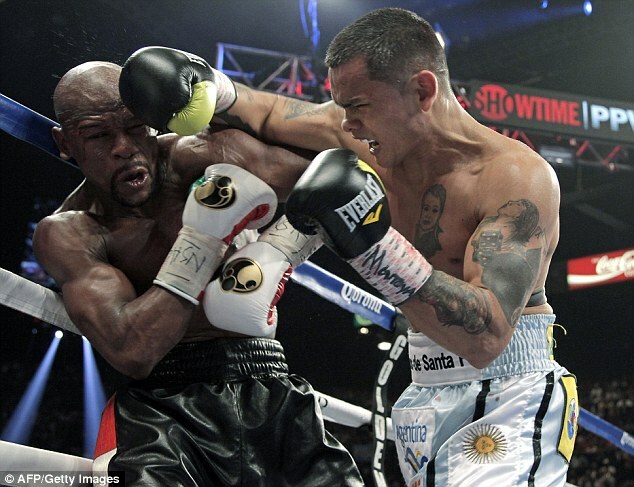 The pound-for-pound No 1 faces Maidana on September 13, having already beaten the 31-year-old at the MGM Grand in Las Vegas in their first bout in May. 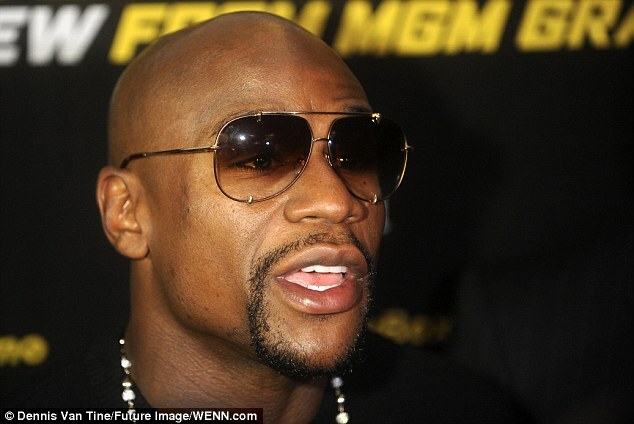 Mayweather, though, isn’t as keen to fight Pacquiao, but is eager to rake in the money. 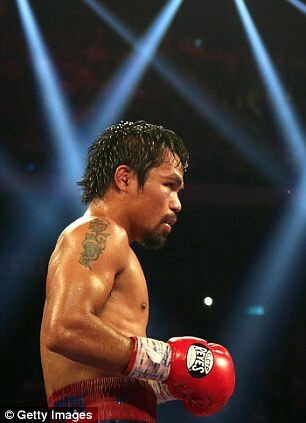 Pacquiao challenged Mayweather, telling him to put up or shut up. The hints of a May 2015 fight come two months after Pacquiao extended his contract with promoter Top Rank, denting the chances of a Mayweather bout. Pacquiao committed himself to Bob Arum’s outfit until the end of 2016, by which time he will be 38 and considering retirement. The eight-division world champion’s fights are shown on HBO in America, while Mayweather is contracted to rival Showtime, meaning a fight between the two would be seemingly unlikely. Arum, however, claimed the $300million mega-fight could still happen. 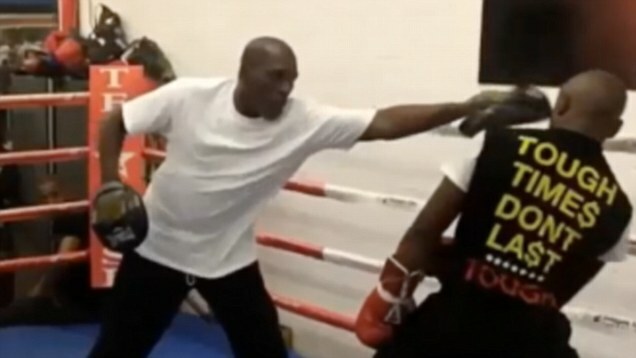 ‘We want to fight him and we’re willing to discuss it at any point,’ he said in May. ‘There are two ways to go here. One is to do a Mayweather fight with both HBO and Showtime involved, as they did with Lewis-Tyson, as I understand Mayweather is under contract to Showtime through 2015. The companies could come together and put on the show.